I’m really excited about this new Starbucks Iced Coffee Coupon! This is a rare treat, so I stock-up when there is a good deal! 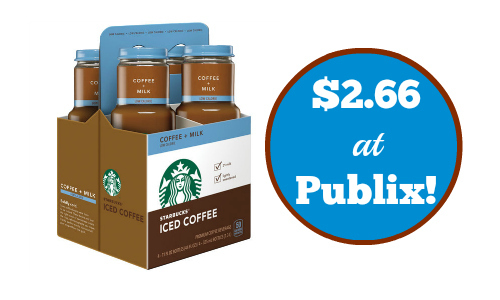 Even better, Starbucks Iced Coffee is on sale next week at Publix! The sale starts 6/4 or 6/5 (depending on your area). Note: you will need (2) computers to get (3) copies of the coupon.